Last night I dreamt I went to Manderley again. It seemed to me I stood by the iron gate leading to the drive, and for a while I could not enter for the way was barred to me. There was a padlock and a chain upon the gate. I called in my dream to the lodge-keeper, and had no answer, and peering closer through the rusted spokes of the gate I saw that the lodge was uninhabited. No smoke came from the chimney, and the little lattice windows gaped forlorn. Then, like all dreamers, I was possessed of a sudden with supernatural powers and passed like a spirit through the barrier before me. The drive wound away in front of me, twisting and turning as it had always done, but as I advanced I was aware that a change had come upon it; it was narrow and unkept, not the drive that we had known. At first I was puzzled and did not understand, and it was only when I bent my head to avoid the low swinging branch of a tree that I realised what had happened. Nature had come into her own again and, little by little, in her stealthy, insidious way had encroached upon the drive with long, tenacious fingers. The woods, always a menace in the past, had triumphed in the end. They crowded, dark and uncontrolled, to the borders of the drive. The beeches with white, naked limbs leant close to one another, their branches intermingled in a strange embrace, making a vault above my head like the archway of a church. And there were other trees as well, trees that I did not recognise, squat oaks and tortured elms that straggled cheek by jowl with the beeches, and had thrust themselves out of the quiet earth, along with monster shrubs and plants, none of which I remembered. Rebecca, by Daphne du Maurier, was published in 1938. I read it in 1995, when I was thirteen years old. For some reason, I thought I read a copy from the library originally, but I might’ve read the same edition that I’ve just re-read, an International Collectors Library edition with a bookplate in the front where my mother wrote that the book belonged to the two of us. So I know that this book was in our house while I was growing up. I’m not sure when I stole it for my own library, but I’ve never re-read Rebecca, until now. I don’t remember much about reading Rebecca for the first time. Except I know that I was so enamored of the story that I insisted on watching the Hitchcock film during my sleepover party, the first weekend of the summer, after I read the book. This was also the slumber party where I gave everyone their own spiral-bound notebook and suggested that we keep a diary for each other to read when we all got together at the end of the summer. Unsurprisingly, I was the only one who did it, but this was when I first started journaling regularly. It was an eerie experience, re-reading this book almost two decades after my first time, especially as I became aware of how deeply the story had filtered into my personality. I’d forgotten much of the actual plot – had confused it a bit with Jane Eyre when I was trying to relate it (I remembered there was a new wife, and the old wife was both present but not). So, in many ways I got to read the book anew, all over again. Yet, there were dozens of times when I got goosebumps because the unnamed narrator thought or said something that I’ve thought or said, or would think or say. Which was uncomfortable because the narrator is shy and passive to the point of character flaw. She is childish and naive, with a rich interior life that she rarely makes visible to those around her. How much was I influenced by the narrator’s character at thirteen, or did I recognize my self in her, instead? Elements that I obsessed about as I re-read: the narrator is unnamed, yet the book is named for a woman we never see, except through the memories of others. I would end up teaching a fiction class in grad school that focused on two more books that do this: My Antonia by Willa Cather and The Joy Luck Club by Amy Tan, only realizing later the common uniting thread that fascinated me about both books. I didn’t think of including Rebecca in that category, but now that I think of it, there are many, many books that could fit this description. Interestingly, all three of these are written about women and by women. I really want to teach that course again now, as a better teacher with more insights. Until I did some research for this post, I don’t think I realized that Hitchcock’s The Birds (still the scariest movie I’ve ever seen) was based on a short story by du Maurier. In fact, Hitchcock made three movies based on du Maurier’s writing (the third was based on her novel Jamaica Inn). There are some persistent allegations that both Rebecca and “The Birds” (as well as another short story, “Ganymede”) were plagiarized from other works, and some fairly convincing arguments that du Maurier had access to the works before she wrote her own. Between the zeitgeist and writers’ tendencies to be influenced by each other, it’s a hard one to call, especially since many modern writers often face similar claims when their work is successful (i.e. made into a movie). I re-read the first 100 or so pages of Rebecca on a 25-hour train trip to Washington, D.C., a lot of it in the middle of the night with people sleeping all around me. It was a great atmosphere for Rebecca, between the quaintness of trains and the creepiness of the story late at night. When I tried to describe the book (or the narrator’s situation in the beginning, at least) to another passenger, he said, “Oh, like Downton Abbey!” which I hadn’t really thought of. Rebecca is like the Gothic stories, the penny dreadfuls, that the characters in Downton Abbey might read, perhaps, and it takes place in a similar world, one that Du Maurier knew very well and one that fans of the show might also enjoy. Daphne du Maurier died in 1989 (just a few years before I would later read her book) and though she was prolific, Rebecca remains the one thing she is most well-known for. The Gothic mood of the book, as well as the character of Mrs. Danvers, have influenced innumerable writers and artists and have spawned at least three sequels and modern versions. I think two decades is too long between re-reads for a book like Rebecca, one that has such a clear role in my formation. I might have to re-read it again in the next decade. Or, who knows, the next five years? This experience has definitely made me glad that I’ve decided to undertake The Re-Reading Project. This post was originally written for and hosted at NolaFemmes. The episode opens with several scenes about Sybil’s pregnancy. She’s close to giving birth. Everyone’s up in the middle of the night and Dr. Clarkson has been summoned, but she’s fine for now. A specialist, Sir Phillip, will arrive in the morning, though the family is divided, with the ladies particularly wanting to include Dr. Clarkson, their family doctor, in the birth, and Lord Grantham wanting the society specialist because he felt like Dr. Clarkson misdiagnosed both Matthew and Lavinia. Downstairs, they’re atwitter at the baby’s imminent arrival, up in the middle of the night as well. Ivy, the new kitchen maid, has the attention of both Jimmy and Alfred, much to Daisy’s dismay. Mrs. Patmore astutely observes that Alfred won’t like Daisy any better for being rough on Ivy. Poor Daisy! Always fighting for position and attention. It’s very likely that Ivy is actually interested in Jimmy, but both of the new footmen follow her around like puppies. Ivy’s not the only one interested in Jimmy. Thomas is very “familiar,” in Jimmy’s words to O’Brien, when he teaches him to wind the clocks. O’Brien encourages Jimmy to stay in Thomas’s good graces, which makes me wonder what she’s up to. I’m sure when her plan finally plays out, it will be truly devious. But poor Jimmy, in the meantime, is trying to find his place and feels uncomfortable, a pawn in the game between Thomas and O’Brien. Mary and Matthew are at it again, still arguing about Matthew’s determination to better manage Downton – after both Mary and Lord Grantham insisted he step in. Matthew’s concerned about the future of Downton, not just for their own sakes, but for their children. Who he’s very concerned about, stopping Sir Phillip when he arrives to ask him if his spinal injury could’ve impaired his ability to have children. Uh oh… What if the heir can’t have heirs? The Anna/Bates story line is interesting as Anna has doggedly found the proof of Bates’ innocence, as Mr. Murry congratulates her. However, the portions that take place inside the prison are downright incomprehensible. I have no idea why Bates’ cell mate and the one guard are plotting against him so viciously. Did I miss something? Please tell me if I’m alone on this and it makes sense to you. Mrs. Crawley has hired Ethel, which causes her housekeeper Mrs. Bird to quit, and also ruffles the feathers of Carson, Molesley and a tiny bit less so, Mrs. Hughes over at Downton. Poor Ethel is trying so hard, but is struggling with the cooking and making tea. And poor Mrs. Crawley keeps biting her lip. Edith is offered a column and discusses it over breakfast with Matthew and Lord Grantham, then later with the Dowager. She seems almost amused by her family’s arguments against whatever direction she wants to pursue. Quite a lot of the episode is various scenes of the family and staff waiting for Sybil to give birth, intermingling in various configurations, and the two doctors disagreeing over whether anything is wrong with Sybil. At which point, when Dr. Clarkson keeps stressing that he’s concerned, I started to worry about Sybil. And then comes the moment I was truly concerned about my favorite character, when she asks Dr. Clarkson if she’s on duty, delirious and confused. She’s already had one conversation with Mary in which she elicits a promise from Mary “fight her corner,” defending Tom’s decision to give the baby a Catholic christening. And then, after the baby is born (It’s a girl! Both mother and baby are fine! But are they really??) she has another conversation with her mother, Lady Cora, asking her, “Help me do battle for Tom and the baby.” And when she says, “I just want to sleep, really,” my heart absolutely SANK. The dread I felt for half the episode hardened into absolute certainty that Sybil was doomed, perhaps the baby too. And then. Mary wakes her parents in the middle of the night and every family member – and I mean EVERY family member – gathers around Sybil’s bed as says, “my head” and goes into seizures while both the doctors look on in horror. You know it’s a bad sign when the only people in the room NOT trying to help someone are the two medical professionals. Another spoiler line, just in case you didn’t believe me before. And then Sybil dies. I knew it was coming and I still felt shocked and devastated. It was a beautiful (if absolutely wrenching) scene, well-played by all the actors. Branson, Lord Grantham’s reactions in particular were tough. But the singular most eerie and horrific moment was when the baby started fussing from the other room and everyone fell silent, realizing that Sybil was truly dead and her daughter would have to grow up without her. I’m getting chills just remembering it. Cut to another moment of shocked, devastated silence as the servants learn that Sybil has passed and their various reactions. Especially Thomas’s, who leaves the room and starts sobbing, “the sweetest spirit under this roof is gone,” and Carson who says, “I knew her all of her life,” absolutely dumbfounded. Cora, alone with Branson and Sybil’s body, swearing to her daughter that “We’ll look after them both,” and then her growing, quiet, certainty that Lord Grantham is to blame for ignoring Dr. Clarkson. The servants discussing how to feed the baby without Sybil broke my heart. The Dowager saying to Carson “We’ve seen some troubles you and I,” and him responding, “Nothing could be worse,” broke it again. And then? The image of Branson in the window, holding his baby, uncertain without Sybil and trapped in this grand life he didn’t want, demolished me. The sweetest spirit under the Downton roof, and my favorite character on the show, is now gone. Where can we possibly go from here? 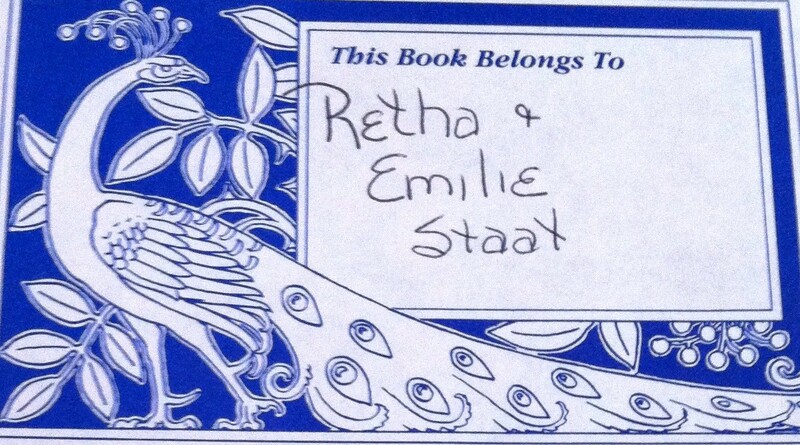 The storyline with Ethel was absolutely heartbreaking, but probably realistic. Mrs. Hughes and Mrs. Crowley team up to help Ethel give up her son Charlie to his rich and landed grandparents, so that he’ll have better opportunities in his life. I kept hoping Mrs. Hughes would offer Ethel one of the new jobs at Downton, but I guess she couldn’t work there with a child. Ethel forced herself to give up Charlie and if you didn’t cry at that, you just don’t have a heart. I wondered if Ethel would do herself in, but Mrs. Crowley offers her a job in the trailer for the next episode, so hopefully not. The household is atwitter with the arrival of a new candidate for footman, the good-looking Jimmy, who Mary urges Carson to hire to please the ladies downstairs. But he pleases more than the ladies – Thomas, who refused to help Alfred, is eager to offer Jimmy assistance. It was sweet to see Carson defend Alfred, and to watch him train the younger footman. Just as it was cool to see Matthew stumbling to support Edith in his clueless way. And I loved when the Dowager told Edith to stop whining and to find something to do with herself. More reasons Mary is an insufferable brat: she essentially ignores Matthew’s question about what they’ll use for a nursery “when the time comes” in favor of redecorating the nursery as a sitting room, then when talking to Anna, she can’t wait to turn the conversation to herself and says, “well, your issues with your husband are coming to an end, but mine are just starting…” Um, Mary, Anna’s husband is in jail and YOURS is essentially trying to do right by you and your family. Obnoxious. Which brings us to the nicer and more interesting sister: Sybil. Edith receives a mysterious phone call from Sybil, which is cut off. Then, Branson arrives in the middle of a rainstorm during dinner. Apparently, he’s had to leave Ireland and Sybil behind in order to avoid arrest for the burning of a noble family’s home, which he participated in but regretted. This infuriates Lord Grantham, of course, and worries the rest of the family, as well as the servants. Daisy has a sweet moment with her father-in-law on the farm where he gives her his blessing to fall in love again and a bit of sage advice. She defends Alfred later, which he thanks her in a later scene. She tells him she’s on his side and is about to confess how she feels when Mrs. Patmore introduces the new kitchen maid, Ivy, who Alfred admires. Poor Daisy! Hopefully Alfred can redeem that clueless moment! Edith stopped whining and wrote a letter about women’s rights to the paper, which will be published. Lord Grantham doesn’t approve of course, but Matthew is supportive. There’s a troubling moment between Sybil and Branson when they disagree about where the baby should be born, and whether or not they should stay at Downton. He wants to go back to Ireland, but will be arrested on sight if he does. Matthew tries to discuss the estate with Lord Grantham, who changes the subject, so Matthew goes to get advice from “Cousin Violet.” Daring! She tells him there’s no way not to put noses out of joint, but he should go ahead. The Anna/Bates thread was a bit confusing, mostly because I couldn’t keep track of who the players were or understand their accents. But I did get the highlights: Bates was on the outs, his letters to and from Anna withheld, as well as his right to visitors. Both he and Anna were suffering, thinking that the other one had given up on their being together. Then Bates, with the help of a fellow prisoner, turned the tables on his cell mate, who’d tried to frame him for something. He got all of Anna’s letters and she got his, all in a big packet. The episode ends with them each reading the letters, laughing and crying, almost as if they’re together again. Most of this is slightly out of order, batched thematically rather than strictly chronologically. I hope you’ll understand and approve. I wonder what you think of Episode 3? We’ll be blogging about the third season of Downton Abbey over the next several weeks. Please assume that the rest of this post contains spoilers and don’t read further unless you’re prepared to encounter plot details. First, the American premiere of Downton Abbey is always near my birthday, so it kind of feels like a present to me, but one I can share with family and friends and other rabid fans. This season was hotly anticipated, by me as well as the legions who’ve gotten addicted to this soapy period drama. Following the changes of WWI, which we saw in Season 2, there were so many moments of adjustment in these first two hours, and we got to see all of our favorite characters in new situations. O’Brien and Thomas, former downstairs conspirators, are on the outs and now manipulating and backstabbing each other as O’Brien schemes and succeeds in getting her nephew Alfred hired at Downton. Bates is in prison, which is not quite as dreary and boring as you’d think (which likely owes a lot to Anna’s spunky steadfastness) and Lord Grantham has lost Cora’s fortune in a risky investment, which puts Downton and all of the Crawleys at risk. Deliciously, the Dowager Countess is fed a bit of her own medicine, wavering in annoyed awe at the arrival at Cora’s American mother Martha Levinson. I never thought I’d see the Dowager Countess back down in any situation, but watching her realize that Downton needs Martha’s money once again, and then trying to curry the favor of a woman she disdains is remarkable. Mrs. Hughes’ sickness is at first comical as Mrs. Patmore struggles to support her despite her own squeamishness with sickness and doctors, and then poignant as you later realize that Mrs. Hughes probably has cancer, that she will struggle silently and nobly, and probably succumb. 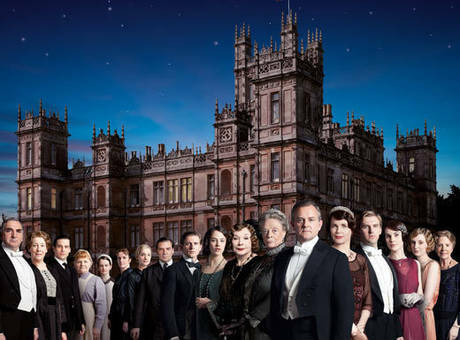 What will Downton (and we?!) do without her? One of my favorite threads through the first two hours was the ways in which each family member and each of the staff had to adjust to the arrival of Branson and his new status as a member of the family. The intimate scenes of Sybil and Branson as spouses privately and publicly were nice touches. But of course, I must mention the wedding. The Wedding of Mary and Matthew, which is such a perfect plot device on which to hinge so many of these stories. On the one hand, it’s satisfying that they are finally together, but it’s also frustrating that they are still not entirely united as they struggle over Matthew’s possible inheritance. How dreary and cruel Mary can be! But she is riveting, regardless, and always herself. Her attempt to call off the wedding the night before allowed for some poignant scenes between Mary and Anna but, even more remarkably, Branson and Matthew. Their support of each other was such a nice note and a wonderful way to witness the changes afoot at Downton. Oh, and also, a lovely moment between Mary and Matthew themselves, as they agree to disagree and reconcile. 1. Lady Mary comes down the stairs in her wedding gown, with both her father Lord Grantham and her lifelong champion Carson watching, both amazed at her. When she speaks, she addresses Carson first, “Will I do, Carson?” Mary’s relationship with Carson has long been the most redeeming aspect of her character, the chance for her to truly be vulnerable and sweet. 2. At the end of the second hour, in a very poignant closer, Mrs. Hughes reminds Mrs. Patmore that they will all perish one day, which reminds us, the audience, that because this is a period piece, all of these people (if they were real, as well as their real counterparts) have perished. And all that is left is Downton Abbey (Highclere Castle) and our memories/imaginings of them.